More troops will be heading to Afghanistan soon. Adm. Mike Mullen, chairman of the Joint Chiefs of Staff, said between 20,000 and 30,000 additional U.S. troops could be sent to Afghanistan to bolster the 31,000 already there. This year has been the deadliest for U.S. forces in Afghanistan since the 2001 invasion to oust the Taliban for hosting al-Qaida leader Osama bin Laden. Suicide attacks and roadside bombs have become more dangerous, and Taliban fighters have infiltrated wide swaths of countryside and now roam in provinces on Kabul's doorstep. U.S. commanders have long requested an additional 20,000 troops to aid Canadian and British forces in two provinces just outside Kabul and in the south. But the high end of Mullen's range is the largest number any top U.S. military official has said could be sent to Afghanistan. "So some 20,000 to 30,000 is the window of overall increase from where we are right now," he told a news conference at a U.S. base in Kabul. "We certainly have enough forces to be successful in combat, but we haven't had enough forces to hold the territory that we clear." Overall, there are more than 60,000 foreign troops in Afghanistan. Mullen said any increased U.S. deployment would be directly tied to force levels in Iraq, where U.S. commanders are drawing down troops. "The Taliban and extremists are more sophisticated and effective," Mullen said. "They haven't won any battles but they certainly have increased the level of violence, and we're very focused on that. That's why the additional forces are so important, to be able to provide security for the Afghan people so these other areas can be developed." U.S. officials already have plans to send four ground brigades and an aviation brigade to Afghanistan. 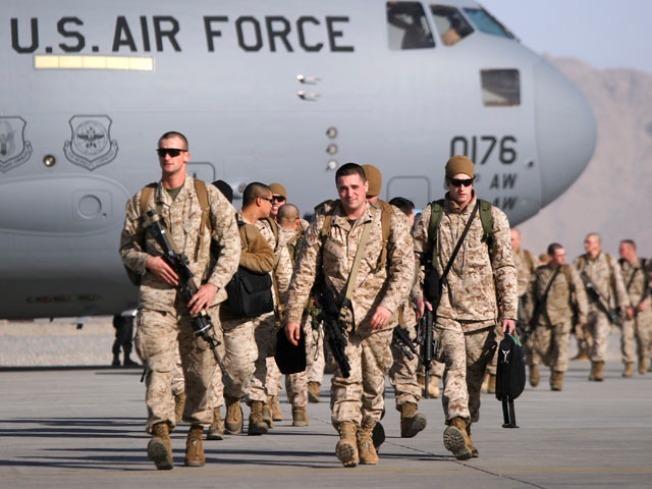 Defense Secretary Robert Gates has approved the deployment of the aviation brigade, defense officials told The Associated Press. And 10th Mountain Division forces will deploy next month to two provinces that neighbor Kabul — Wardak and Logar, which have seen an influx of militants over the last year. Mullen said after the additional U.S. troops are added over the next eight months, only improvements in Afghanistan's governance and economic situation will affect the strength of the insurgency. But the chairman conceded the U.S. may have misjudged the central government's ability "to have the kind of impact that we wanted."